Zombies And Toys: Dead Space 3 Demo - Available NOW! 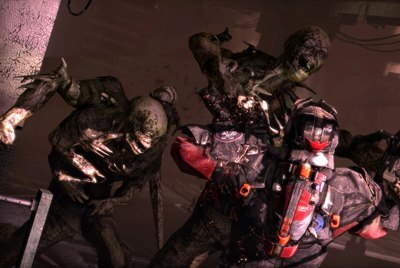 Dead Space 3 Demo - Available NOW! On February 5th, the stars will run with blood and the universe will cringe again as the horror of the corpse-raising Necromorphs returns. Engineer Isaac Clarke will once again jump into a nightmarish world in Dead Space 3. However, who can wait weeks to experience the jaw-dropping, skin-tingling survival horror game???? By liking Dead Space 3's Facebook page here, you can request an offer for an early download of the demo. Play TODAY rather than wait four to five more days for the general release of the game's demo. Enjoy...and look over your shoulder.